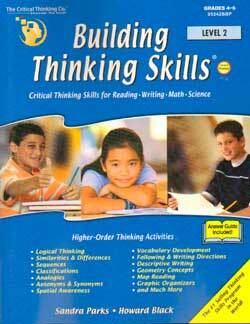 Build important cognitive skills for critical thinking—Comprehension, Analysis, Evaluation, Construction, Creativity, and Communication. 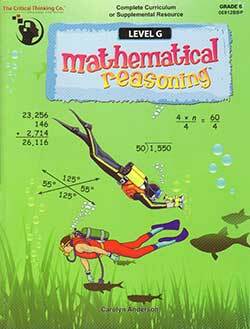 Explore critical thinking topics through fun and concrete activities. Reinforce student learning with more individual and group activities. Designed for Grades 9-12+ for high school students. 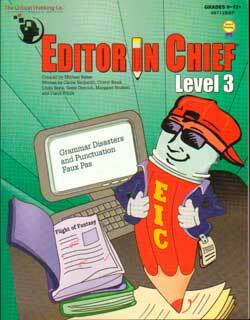 Make copies as needed—The student book is reproducible for a single classroom. The TM has answers and reproducible activity pages. There isn’t any planning or scheduling info. The Teacher’s Manual isn’t stand-alone. You would miss a lot of information that is in the main text. Buy a book for each student to avoid making copies. It is possible to teach a small group of students with one book. Use the Teacher’s Manual to make copies of the activity/work pages. Each chapter has 7-11 lessons. Lessons include some teaching/explanation and some activities. Most of the photos and illustrations are in full color. 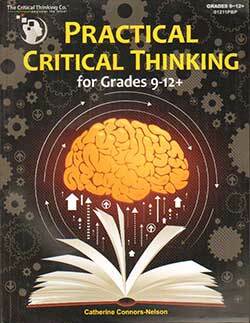 Includes answers to the activities/lessons in the Practical Critical Thinking Teacher’s Manual. There are approximately 68 pages of answers. Some answers have detailed explanations where needed. The reproducible activities are in b&w. The activities don’t include the teaching/explanations. Paperback printed in black and white with 298 pages.